In 1987, the Cricket World Cup left for England for the first time. This edition was held on the subcontinent with defending champions India co-hosting with Pakistan. At this point in one day cricket’s development, 50 overs had become the standard for international cricket, so the World Cup which had traditionally been 60 overs each innings was no down to his present 50 over format. With South Africa still banned from international cricket, the seven Test-playing nations at the time where joined by Zimbabwe who defeated The Netherlands in the final of the previous years ICC Trophy at Lord’s to ensure African participation at the tournament. Both hosts seemingly made the most of hosting a World Cup on their own soil with both winning their groups, India topped Group A despite losing their opening game against Australia by one run in Madras. Maninder Singh being bowled by Steve Waugh on the penultimate delivery of the second innings. With teams playing one another twice in the group stages, the Indians overwhelmed the Australians with a 56 run victory in Delhi, propelled with three wickets from a then 24-year-old Mohamed Azharuddin, who was beginning to forge a reputation as a world-class cricketer, who in the years before his match-fixing scandal was considered by many to be one of the greatest fielders of all time. The rest of the group went largely as expected. Zimbabwe lost all six of their fixtures whilst New Zealand only recorded victories against Zimbabwe, coming up short against the hosts and the cross Tasman neighbours, Australia. Pakistan opened Group B with a victory over Sri Lanka by 15 runs in Hyderabad, propelled by a century from Javed Miandad, who got 103 from 100 balls. England would then face off with the West Indies, a repeat of the 1979 final. England wore the victors this time in Gujranwala, having been set a target of 243, England reached the target with three balls and two wickets to spare, man of the match Allan Lamb hit 67 not out from 68 balls. Pakistan edged England in a low scoring encounter in Rawalpindi, winning by 18 runs, while the West Indies came back to win by 191 runs over Sri Lanka in Karachi, with Viv Richards, who played a crucial role in Windies campaign in previous World Cups, hitting 181 of 125. Carl Hooper put up impressive bowling figures once again — his off-spinning being a departure from the destructive aggression of Holding and Marshall. It was fast bowling which would aid the Windies most in their next game, with Walsh getting four wickets and conceding 40 runs in 10 overs, but the last ball would come after Walsh choose not to run out Jaffer at the non-striker’s send, and Qadir took his attempted yorker and put it to the third man getting the two runs the team needed to win. The West Indies were a fading power, but defeat in this way seemed unrecognisable. Pakistan managed a seven-wicket victory over England in Karachi and Graham Gooch continued to impress as England beat Windies for a second time. Despite the Carribean Islanders beating Pakistan in the final group game they were out with the Pakistanis topping the group, after three consecutive finals, the West Indies were out in the group stage. The host countries propelled forward by rampant home crowds both won their groups and reached the knockouts. Australia started off their semi-final clash in Lahore strongly. but three wickets from Imran Kahn slowed down their run rate. The Pakistani side started off badly in their chase of 268 and was bowled out for 249, losing by 18 runs. India too would fail to reach the final, struggling after Azhar was removed in the middle order with England winning by 35 runs in the Wankhede Stadium. 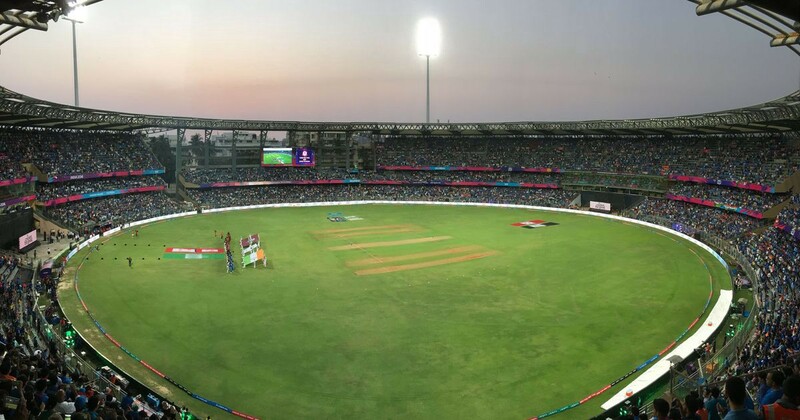 Eden Gardens would thus be the host of the first Cricket World Cup Final outside of England on the 8th November 1987. The Wankhede Stadium had by know overtaken The Brabourne as Bombay’s premier cricket ground. 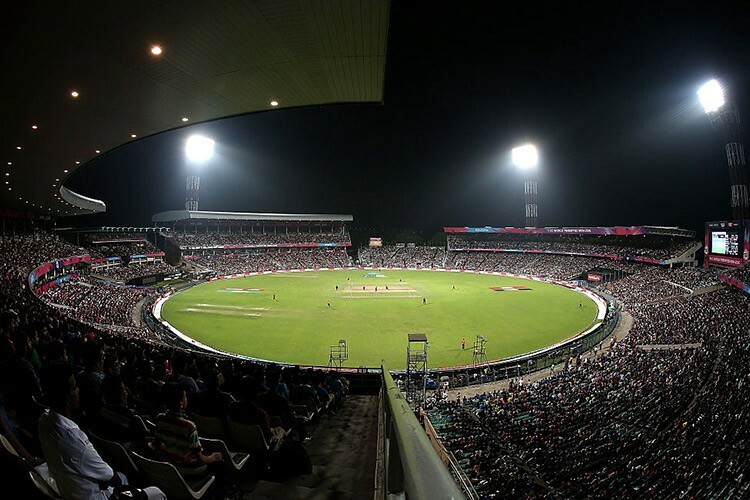 The two most historic rivals in the sport’s international history would meet at Eden Gardens, usually home to India, where the sport would reach new highs in the coming decades. Australia surged into a 253/5 score with David Boon top scoring with 75, the Aussies scoring with a regular rate throughout their innings. England’s reply was solid but not quite enough. A poor start cost them dearly with Tim Robinson out for a golden duck with an lbw on the first ball. Border’s off-spin took out the in-form Mike Gatting and despite Allan Lamb’s valiant 45, England finished the innings seven runs short of their target with two wickets in hand. Australia finally had their first World Cup victory. They would dominate the sport over the coming decades, whilst the West Indies and their time as the kingpins of world cricket were firmly over. The first stadium other than Lord’s to host the World Cup Final.